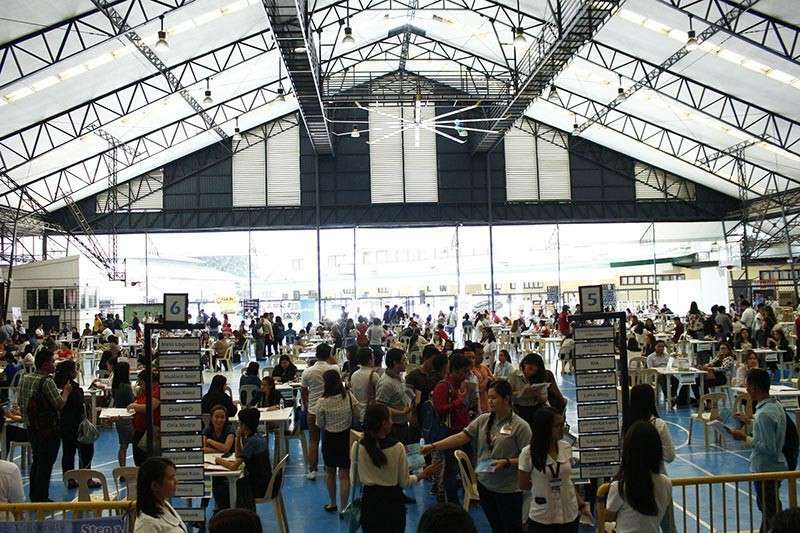 HUNDREDS of applicants participated in the 19th Xavier University (XU) Job Fair held at the XU covered courts last Thursday, February 7, until February 8. In partnership with Cagayan de Oro City's Public Employment Services Office, Xavier University-Ateneo de Cagayan has managed to tap around 108 companies from La Union, Metro Manila, Batangas, Laguna, Cebu, Cagayan de Oro City, Bukidnon, Misamis Oriental, Iligan City, Davao and South Cotabato which offered more than 200 jobs. The jobseekers were in their business attire, carrying their cover letter, resume and ID picture as they venture on the opportunity to get hired. “Expectation nako sa job fair is another great opportunity para sa mga katawhan sa dakbayan sa Cagayan de Oro nga wala pa nakatrabaho. For me, it’s another chapter siguro nga makatabang sa atoa,” Franz Lacson, one of the job applicants, said. “Hinaut unta nga maluoy ang Ginoo. For greener pastures na pud para ma-develop nato ang skills, unsa atong kaya, atong kayanon para sa ekonomiya sa Pilipinas,” he added. Among the participating companies in the job fair were: Treasure Island, BDO, DOLE Philippines, Del Monte Philippines, San Miguel Brewery, Sports Central, St. Francis Heights, Avida, Robinsons, Philam Life, China Bank, Ayala Land, Limketkai Luxe Hotel, Cepalco, Cebu Mitsumi Inc., Camella Condo Homes, SM Downtown Premiere, Seda Centrio Hotel, Ginebra San Miguel, Nexus Bond, and others. Registration for Philhealth, SSS, NBI, and Pag Ibig were also offered in the two-day job fair. This includes: issuance of birth certificate, death certificate, marriage certificate and certificate of no marriage.